We asked Max Jack, who studies soccer chants at UC Santa Barbara, to tell us about three pop songs that have gone from pop hits to soccer stadium chants. 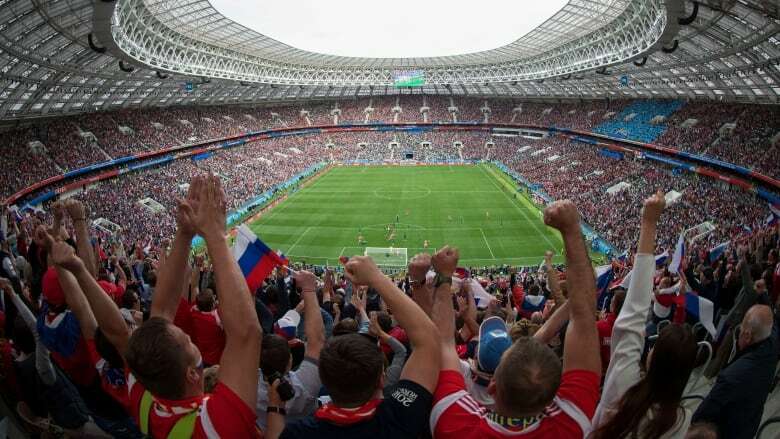 If you've been watching the World Cup, this might make you take a closer listen to what's happening in the stands. We asked Max Jack, who studies soccer chants at the University of California Santa Barbara, to tell us about three pop songs that have gone from pop hits to soccer stadium chants: Seven Nation Army, Despacito and A Little Respect. Should Scarlett Johansson — or any non-trans actor — play trans characters on screen?